Formula 1 stakeholders have reached an agreement for grand prix cars to use a new type of 'green' engine from 2013. The sport will switch from the current 2.4-litre V8s to 1.6-litre four-cylinder turbo engines with energy recovery systems and fuel restrictions. The move is an attempt to mirror the trend towards fuel-efficiency in road cars and to popularise it, increasing public demand for such engines. The new rules could be confirmed by governing body the FIA on 10 December. Mercedes and Ferrari had been reluctant to agree to the move as recently as a month ago, believing that it was an unnecessary expense at a time when F1 was trying to reduce costs. But a spokesman for Ferrari said the rules had been agreed and he would be "surprised" if it was not announced by the world council. He admitted Ferrari had concerns about the move on cost grounds but added: "An agreement is there, and when there is an agreement you work accordingly." A high-level source involved in the talks said it was "most likely" that the FIA would announce the move on Friday. The aim is for the new rules to improve the efficiency of F1 engines by as much as 50%. Care has been taken to ensure the performance of cars will not be affected and total power outputs will remain at current levels - approximately 750bhp. By adopting the regulations, F1 hopes to widen its appeal to sponsors - commercial insiders say some companies are reluctant to get involved in F1 because of its image of being wasteful with resources. The agreement to change the regulations from the 2.4-litre normally aspirated V8s used in F1 since 2006 comes after months of protracted negotiations and it had looked as if the switch might have to be delayed until at least 2014, or perhaps until as long as 2017. F1 commercial boss Bernie Ecclestone has been firmly opposed to the rule change. He said "We have a very good engine formula. Why should we change it to something that is going to cost millions of pounds and that nobody wants and that could end up with one manufacturer getting a big advantage?" But the change has been agreed in a series of recent meetings between F1's current engine manufacturers - which also include Renault and private company Cosworth - and the final touches were put to the regulations by a steering group of F1 engineers on Thursday. It is understood that a series of checks and balances have been written into the regulations to keep costs down and to ensure it should be impossible for one manufacturer to steal a march on the others in terms of performance. This will primarily be done through resource restriction - such as limiting the amount of people or time that can be devoted to a project. German car giant Volkswagen has also been heavily involved in the discussions and has privately indicated to F1 insiders that the only way it would consider entering F1 would be if the sport adopted these new rules. However, sources say VW is giving conflicting messages about whether it will commit to an F1 engine project. If it did enter the sport, it is expected to use its Audi brand. The regulations will go before the F1 Commission - a group of stakeholders that agrees all rule changes - on Thursday 9 December before being rubber-stamped by the World Council the following day. The move is a triumph for both F1 teams' organisation Fota and FIA president Jean Todt, both of whom have made increasing the future sustainability of F1 a key aim. Leading figures in F1 hope that the adoption of the new rules will insulate the sport from charges of wastefulness at a time when supplies of fossil fuels are diminishing and there is pressure for the world to cut its production of greenhouse gases. The aim is that by associating these energy-saving, fuel-efficient technologies with a glamorous and popular sport, they will become desirable in road cars, where their use is already increasing dramatically. About 600bhp of the 750bhp produced by the engines will come from the four-cylinder single-turbo engine itself, with the rest being provided by energy storage and power-boost systems. These systems - known as KERS - were first used in F1 in 2009 before being abandoned for 2010 and are being reintroduced next season. For 2013, the power capacity of the KERS systems will be increased from 60kw to 120kw. Fuel consumption will be restricted both by limiting fuel flow and introducing a maximum capacity for races. 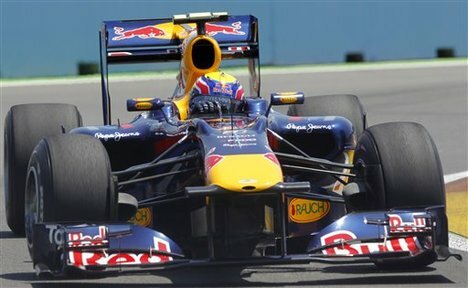 The new engines will not do more than 10,000 revs per minute - current F1 engines spin at 18,000rpm. In subsequent years, complex new turbocharging technology called compounding will be introduced to further enhance efficiency. The regulations have been framed to encourage the pursuit of efficiency in engine design, dramatically increasing the amount of power that can be produced per litre of fuel burnt. Those lessons in efficiency can then be transferred to road cars so that considerably less fuel is used for a given amount of performance. The FIA KERS rules were originally planning to allow four wheel brake regeneration from 2013 but this has been delayed as all teams agreed to not use KERS in 2010. The KERS regulations were to allow the energy storage limit to be doubled to 800kj (222 wh) by 2011, and KERS was to be allowed on both axles with up to 200kW and 1.6MJ (444 wh) of energy storage per lap from 2013. It's time F1 start thinking about becoming mixed and mild hybrid, replacing the KERS by an electric motor.